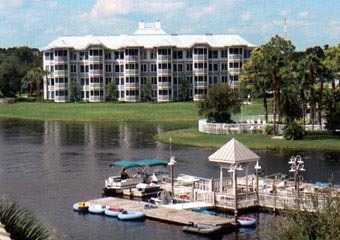 The Marriott Cypress Harbour timeshare resort has a small marina on the main lake where you can get paddle boats, inflatable "bumper" boats, "bicycle" boats, etc. 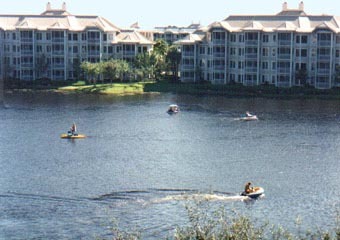 And the boats sure get a lot of use! 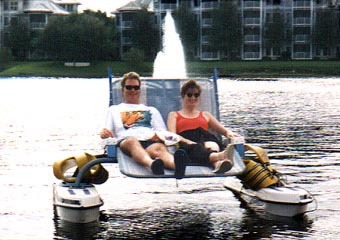 We particularly enjoyed the battery-operated catamaran-hull lounge chairs! 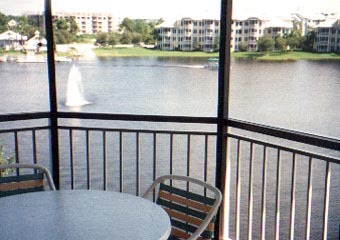 The screened patio of our timeshare villa was a great place to watch the activity on the lake. 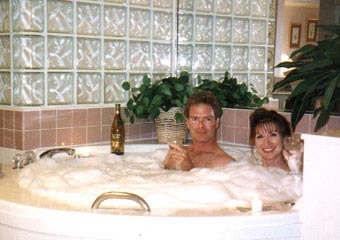 And after a hard day of relaxing, the private Jacuzzi tub in our master bathroom was a great way to wind down! 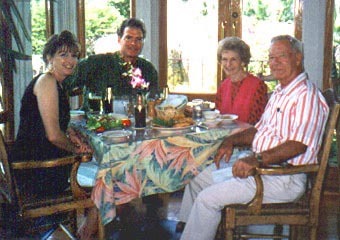 Chris' parents, Marge and Brad, drove over from the beach for a visit.